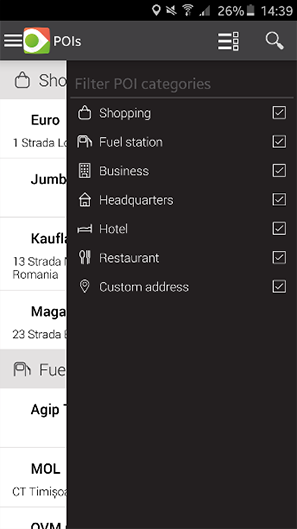 Have the most important information about your fleet on your mobile phone thanks to fliGO! 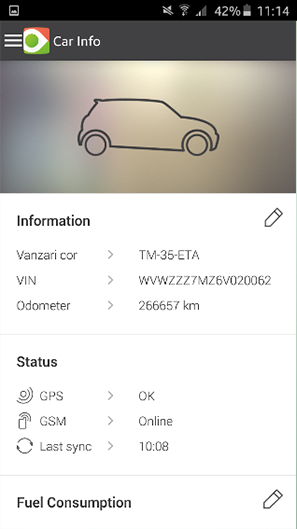 Track the distance travelled, the fuel consumption, the maximum speed and the driver’s driving style. 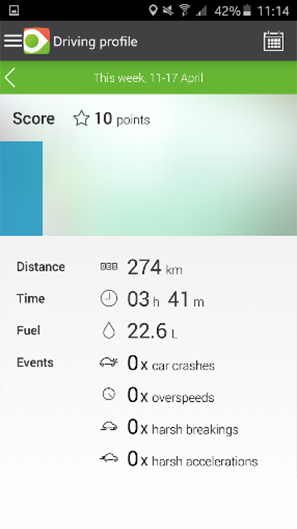 Each sudden acceleration and braking, speed limit exceeding or impact event is recorded in the app, for your control. 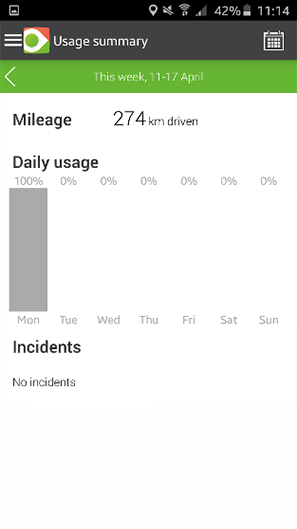 Graphically displays the extent to which your vehicle was driven in the chosen interval: one day, one week, one month or one year. A control panel outlines the data about your vehicle so that you are kept up to date about the fuel consumption and the expiration dates for the motor vehicle liability insurance, the periodic technical inspection and the vignette. You can see if the vehicle passed through the points of interest set on distinctive categories: shopping, fuel stations, business etc.